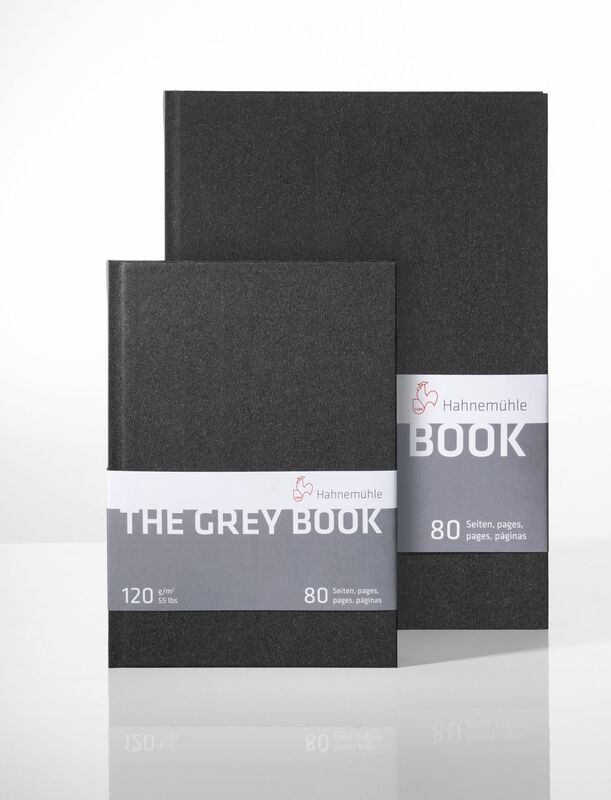 This sketchbook offers the artist light grey paper of the highest quality, with a hardback cover in an attractive textured anthracite. Recommended particularly for pens the tone of the paper allows highlights and dark shades giving life and depth to your sketching. 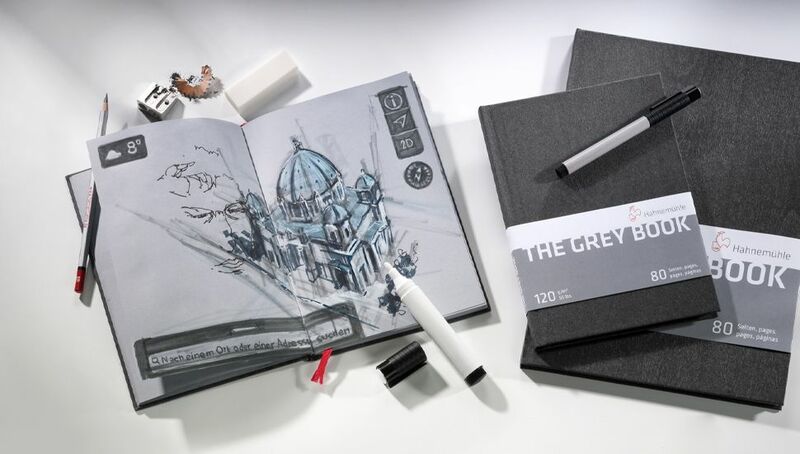 The book allows for drawing and sketching over two pages with colours and shades standing out well on the paper surface. 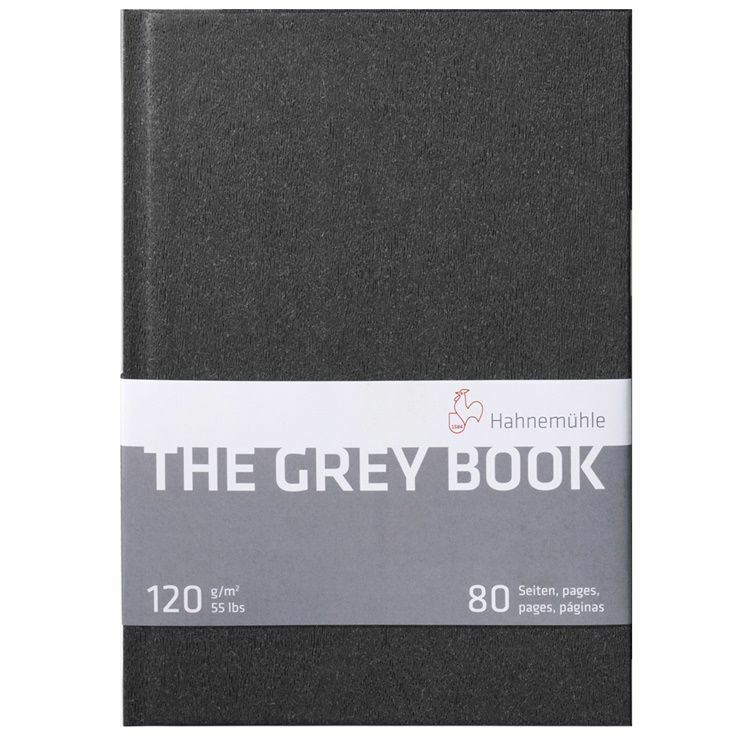 The smooth 120gsm paper is ideal for working with ink, pencils, fine liners, acrylic markers as well as other water-based pens. We found the paper to be bleed proof which makes every page usable.